‘What works is better than what looks good. What looks good can change, but what works, works.’ Ray Eames. 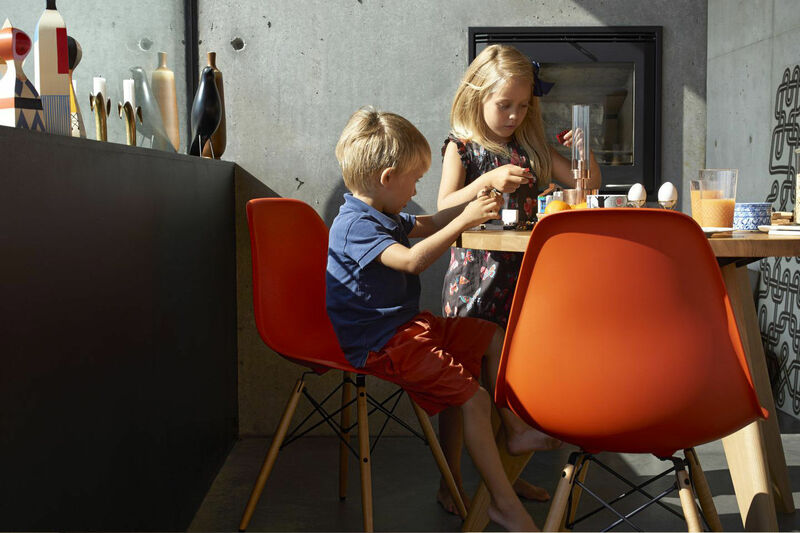 Vitra has adapted the seat geometry and height of the Eames Plastic Chair to today’s requirements, and also expanded the colour selection with six new shades. 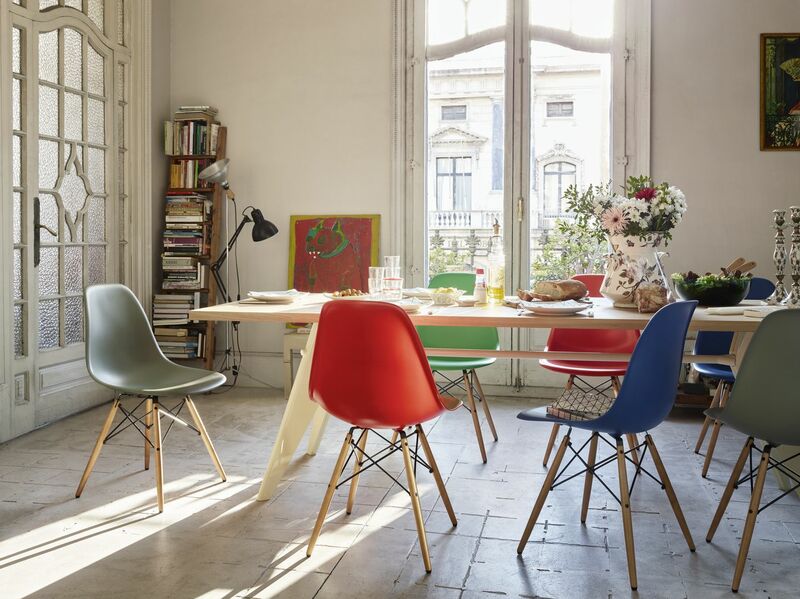 The Eames Plastic Chairs created by Charles and Ray Eames are counted amongst the most important furniture designs of the twentieth century, being the very first plastic chairs to be produced using industrial methods. Launched in Milan this year and now on display in our EC1 showroom are the exciting new EPC colours and seat heights ready for summer. Since the introduction of the chairs the average height of humans has increased worldwide by nearly 10cm over the past 60 years. 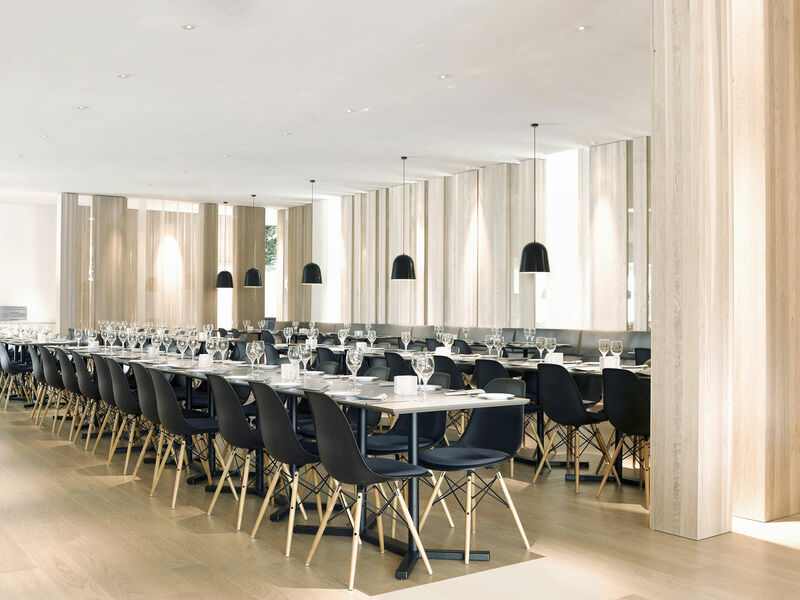 Therefore the seat height of the chairs was raised by 20mm. In addition six new colours (Ice Grey, Moss Grey, Navy Blue, Classic Green, Oxide Red & Classic Red) were added to the collection, the expanded colour range emerges from the continued collaboration Vitra have with Dutch designer Hella Jongerius. With 14 shell colours and 28 upholstery shades the EPC collection now offers around 400 possible combinations.